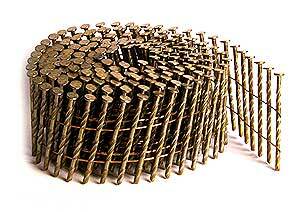 Garnett Company has been a distributor of pallet nails for pallet people since 1966. 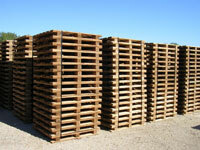 This business venture was initiated out of the need for pallet nails in rural southern Missouri in our own pallet business, sister company, Garnett Wood Products. What once serviced the small “Mom and Pop” operations within the 100 mile radius of our warehouse facility has now grown in to a nation-wide distributor for some of the largest pallet manufacturing plants in the United States. We strive to provide only the highest quality nails at the lowest possible price and work with each customer to insure complete satisfaction. Our reputation as a honest and dependable supplier has been based on years of hard work and a complete focus on customer satisfaction, including on-time deliveries. If we can’t be your sole supplier, let us at least be your secondary source. Call us today for a quote. Thank you so much for visiting our website!